Your credit score is an important factor to look into when you purchase items through credit. As a consumer, you need to have a better understanding of your creditworthiness to have the ability to purchase both small-ticket and high-ticket items. Credit scores are calculated based on a variety of factors and the “credit utilization rate” is a significant part of such calculation. 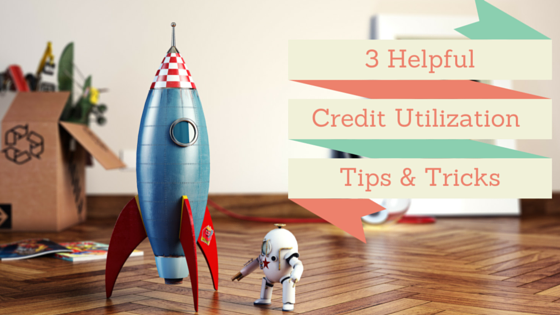 Credit utilization provides a picture of how much credit you are using in proportion to how much credit you have available. It can be calculated by taking the ratio of your overall credit card balances to your overall credit limit and multiplying it by a 100. Maximizing your credit utilization rate can affect your overall credit score as it is a significant factor used in credit scoring models. So how can you improve your credit score with properly managing credit utilization? You might be frightened by the fact that having multiple credit card accounts can lead to financial disaster. This case is true if you don’t manage your finances well. Having at least two credit card accounts can help minimize your credit card utilization rate. It is a good way to build a good credit history and prepare you for the much-needed high-ticket purchase. Be sure to always pay off your debts in full at the end of each month. Improving your credit score doesn’t stop with having at least two accounts. You can also become an authorized user of another credit card account with a good credit history. For example, you can be the principal owner of your child’s credit card account. Being an authorized user of someone else’s account of good standing will add up to your credit score. It will also help you lower utilization rates especially if less than 20% of all accounts are utilized. The Georgia Department of Law Consumer Protection Unit states that a “good” credit score has a 10% to 15% credit utilization rate. “Very good” and “excellent” credit scores have 1% to 10% credit utilization rates. Thus to increase your credit score, you should manage credit utilization for each of your accounts. Calculate each credit card’s utilization rate and make sure you keep each to 20% or less. You should also calculate the overall utilization rate by getting the total outstanding balances, dividing it by the total credit limit, and multiplying it by 100. For example, if your first card has a USD 5,000 credit limit with an outstanding balance of USD 500, then its credit utilization rate is 10%. If your second card has a USD 10,000 credit limit with an outstanding balance of USD 500, then its utilization rate is 5%. If you want to purchase an item through credit, it is best to divide the total amount to each credit card to ensure that each has a credit utilization rate of less than 20%. Ensuring that the “overall” credit utilization rate is less than 20% is also necessary. Getting an increase in your credit limit is a good way to lower your credit utilization rate which consequently increases your credit score. If you have an average monthly outstanding balance of USD 2,000 on a credit card with a USD 5,000 limit, then you have a 40% credit card utilization rate. Increasing your credit card limit to USD 10,000 can lower your utilization rate to 20%. Preserving the credit history of your account is a good way to increase your overall score. If you have multiple accounts and are obliged to close some, then opt to close the most recent accounts. It is recommended that you preserve all accounts even those that are barely used. Possessing rarely-used credit cards will lower your utilization rate due to the increase in the amount of credit limit. It is important to take care of your credit score as lenders use them to decide whether to grant you credit or not. It is also used to decide the rate you have to pay on a loan and the credit terms offered to you. Credit scores can significantly affect your future as it is used to determine if you are worthy of being extended credit for home mortgages, insurance coverage, student loans, auto loans, and rent/ lease agreements. A poor credit score can also result to loss of certain job opportunities. It is highly recommended that you start building your credit reputation as early as possible. Always pay your debts in full at the end of each month while keeping your credit utilization rate in check.